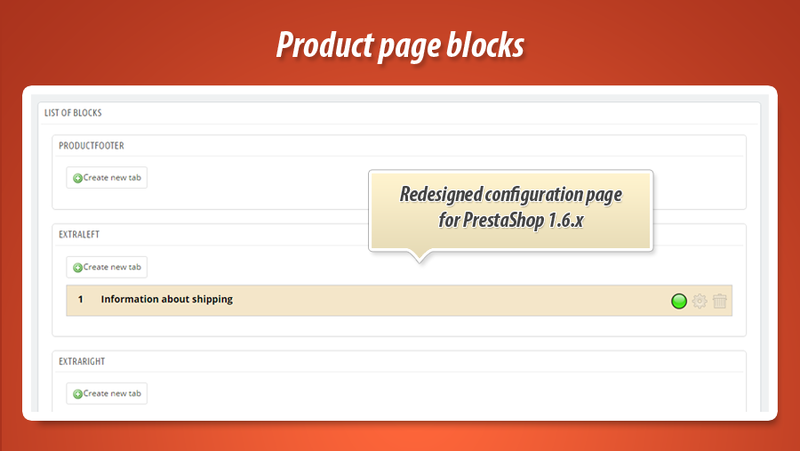 This Prestashop module gives you possibility to define as many blocks with own content as you want. This addon gives you possibility to use html, css, js and other browser-side languages (like html5). 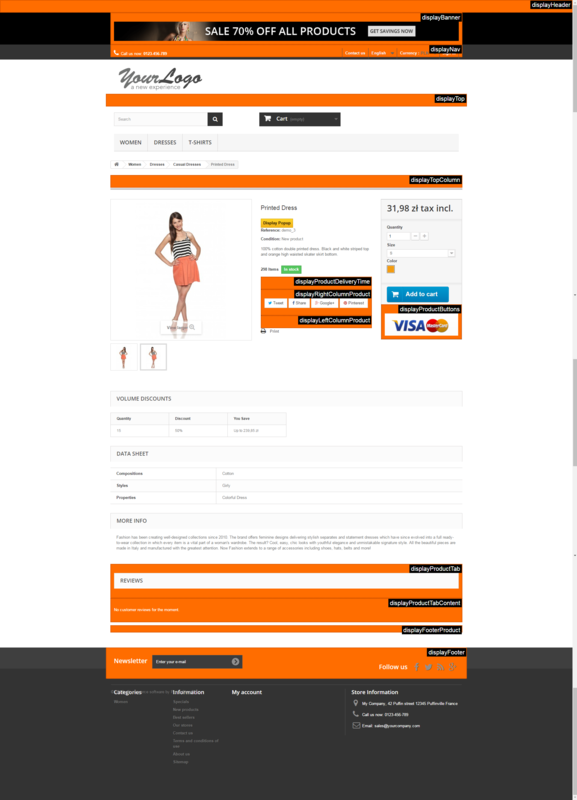 This addon is great tool for extending product page contents. Read more about this useful plugin below the box. Why Product page content blocks? Our modules always work with latest versions of PS engine. 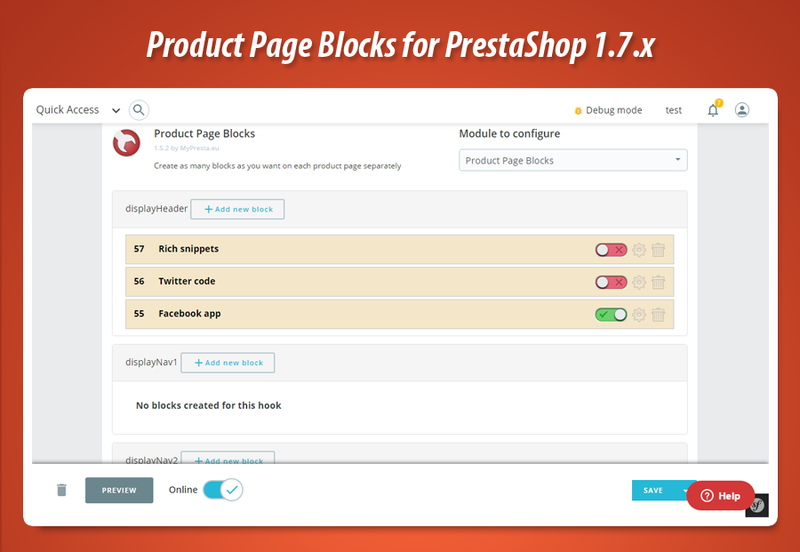 Module supports PrestaShop 1.6. The future is today. Just one mouse click to active, remove and edit blocks with excellent AJAX requests. Fast and easy in use! Module allows to use all browser-side languages like html, js, css, html5 etc. Create outstanding blocks! 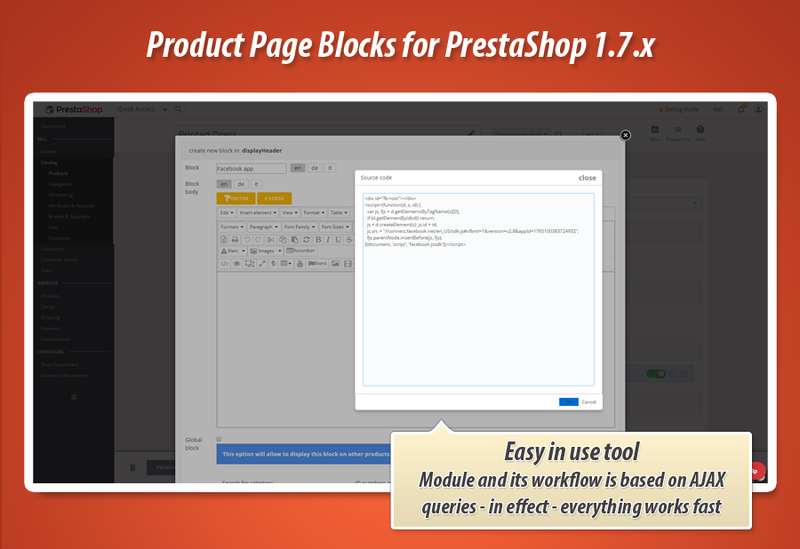 Main feature of prestashop product page content blocks module is possibility to create content blocks on selected product page. 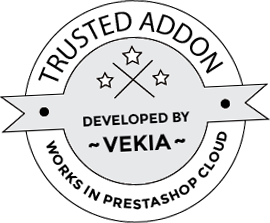 Module creates "product blocks" tab on each product edit page in your back office. There you can define blocks for product. 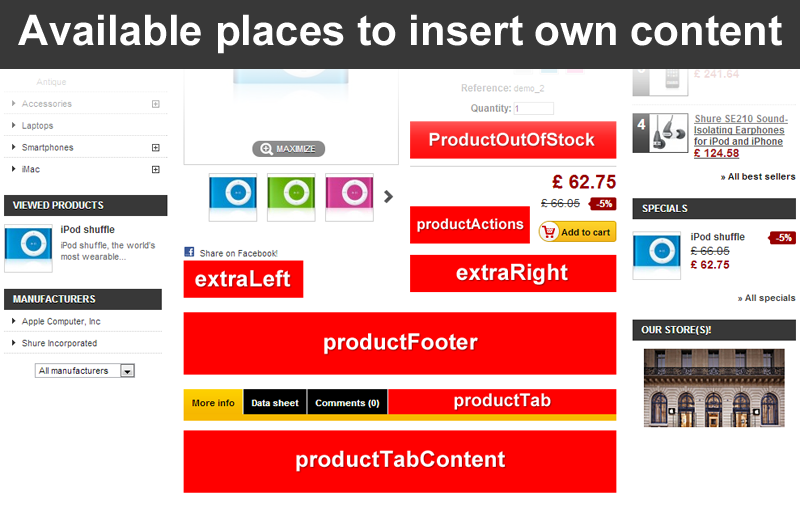 productTab - to define new tab like "more info", "features" etc. extraLeft - place where extra links appears like "print", "share on facebook"
You can use extended tinyMCE editor to define block contents.